The US should remove Confederate memorials, flags, and monuments from public spaces. The principal legacy of Confederate statues is white supremacy and slavery. Since this fundamentally conflicts with American values and ideas, they should be removed. The Confederates committed treason against the United States. The United States should not continue to honor or memorialize them. The statues can be kept without glorifying what they once stood for. They can be kept in museums with proper historical context rather than on a plinth to be admired. It is too divisive in modern day America to continue to display these monuments from a painful part of American history. Removing or renaming Confederate memorials/monuments presents a slippery slope wherein eventually any memorial linked to the colonial era or other problematic legacies could be considered representative of oppression, and thus deserving of eradication. Monuments do not signify the enduring morality of the subject, but celebrate an aspect of their character within the context. Sometimes monuments celebrate nothing except a person's importance to history, good or bad. These statutes have been around for a very long time and no one has cared. They were uncontested earlier and therewith became a part of our society. Removal is the most drastic measure when there are more gentle alternatives. 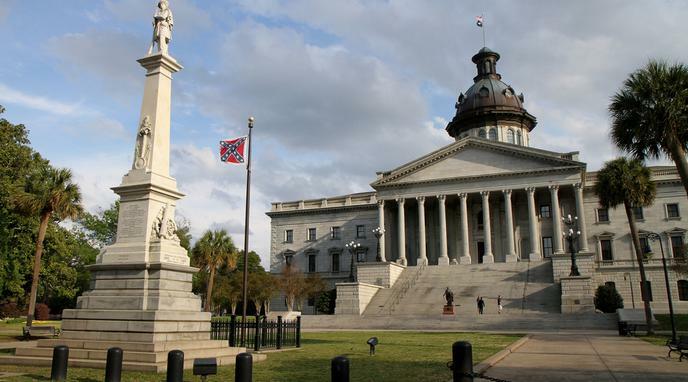 Confederate monuments, flags and memorials honor an important part of the American story.